Spousal support can be a nuisance or a godsend, depending on whether you are the payer or the recipient. People’s feelings regarding the issue of spousal support have spawned thousands of cases and hundreds of legal statutes. Each case and statute explains or modifies the rules regarding the payment of spousal support. If you’re reading this blog then you probably have feelings of your own regarding this issue. If you believe that something is unfair regarding how much you are paying or being paid, your feelings may be correct. There may be a case or a statute out there which supports your feelings, so you shouldn’t be too quick to write them off. 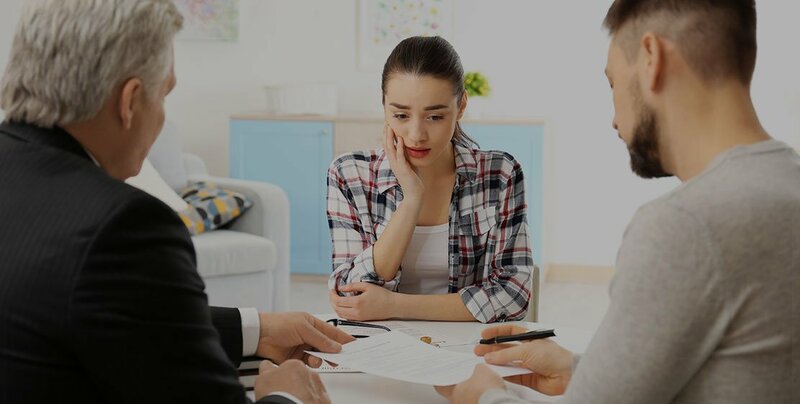 I hope this blog helps to de-mystify the issue of spousal support, breaking down the core concepts into manageable parts so you can apply the facts of your situation to the vast history of spousal support orders in California. There could be a change warranted, whether it’s regarding the amount or the duration of spousal support. The primary purpose of spousal support is to enable the requesting party to become self-supporting and to provide a means by which they could come close to affording the standard of living that they had grown accustomed to during the marriage. At the same time, they must figure out how to provide that standard of living for themselves. There is an inherent tension in spousal support cases because one party wants support to end while the other wants it to continue. These opposing goals can make spousal support cases some of the most complicated cases in the Family Law arena. This places a premium on being knowledgeable at the beginning of the case so you can get what you want by the end of the case. There are hundreds of cases and statutes out there regarding the issue of spousal support, but a good starting place is Family Code section 4320. This statute explains the two core concepts of spousal support: amount and duration. This blog will be focusing on duration, which is the amount of time that a person is required to pay, or has the right to receive, spousal support. Duration is dictated by Family Code section 4320(i). This section clearly indicates that the goal of spousal support is to enable the supported party to become self-supporting. This is an interesting concept, as it encourages the payer to provide the supported party with the resources they need to become self-supporting. Helping your now ex-spouse find a job and providing them with resources and encouragement will help them earn more in the long run and achieve financial freedom sooner. Section 4320(i) goes one step further and tells the supported spouse that they must become self-supporting and that they have a “reasonable period of time” to do so. This “reasonable” period is defined in short-term marriages but left open in long-term marriages. Short-term marriages are, generally, marriages of less than 10 years. Long-term marriages are, generally, marriages that have lasted for more than 10 years. I say “generally” because the closer you get to the 10 year cutoff the more likely it is that the court will consider a longer duration in spousal support. In short-term marriages, a reasonable period of time is generally half the length of the marriage. This means that, in the case of a 4-year marriage, a supported spouse could request and receive spousal support for another 2 years after the date of separation. It is important to note, however, that the court still has discretion in ordering spousal support to continue for more than that period of time. Circumstances like disability or a depressed job market might persuade the court to decide that “reasonable” means more than half the length of the marriage. This is often a difficult argument, however, and requires that significant facts be presented. In long-term marriages, duration can be a little more difficult to determine. It is important that the payer and the payee understand that for the vast majority of our culture’s existence, one spouse (usually the male) was the breadwinner and the other spouse (usually the female) was the homemaker and child-raiser. Women were often left with fewer job-skills and thus no way to support themselves after they left the household. Spousal support is there to ensure that the payee has some support while they try to obtain those job-skills through education/internships and as they try to re-enter the job market. It can take a long time for someone who has been out of the job market for 10 years or more to become self-sufficient. The time it should take to become self-supporting is largely analyzed on a case by case basis, making a set timeframe for termination impracticable. It is dependent upon you and your attorney to present the judge with as much information as possible about why the duration of support should be longer or shorter. It is particularly important in cases of long-term marriages that you retain an attorney to help you with minimizing or maximizing the amount of time that spousal support will be paid. This can be accomplished by presenting the judge with as much relevant information as possible regarding the position you intend to take. Duration can mean a great deal to a divorcing couple but sometimes the amount being paid can be even more significant.